A little joking online led to rumors of a relationship. Halsey seemingly addressed romance rumors involving fellow singer John Mayer with a statement and a couple of questions of her own. The 24-year-old sensation took to social media to slam the notion that if a man and a woman talk to each other, there must be something going on. I just had a ground breaking idea. What if...we let female artists...have friends...without assuming that they are sleeping together? I know I know. It’s like, completely ambitious but like, imagine if we like, tried ? "I just had a ground breaking idea. What if...we let female artists...have friends...without assuming that they are sleeping together?" the "Bad at Love" singer tweeted Wednesday. She added in a sarcastic tone, "I know I know. It's like, completely ambitious but like, imagine if we like, tried ?" (Tommaso Boddi/Getty Images, FILE) John Mayer performs onstage during iHeartRadio LIVE at iHeartRadio Theater on Oct. 24, 2018 in Burbank, Calif. 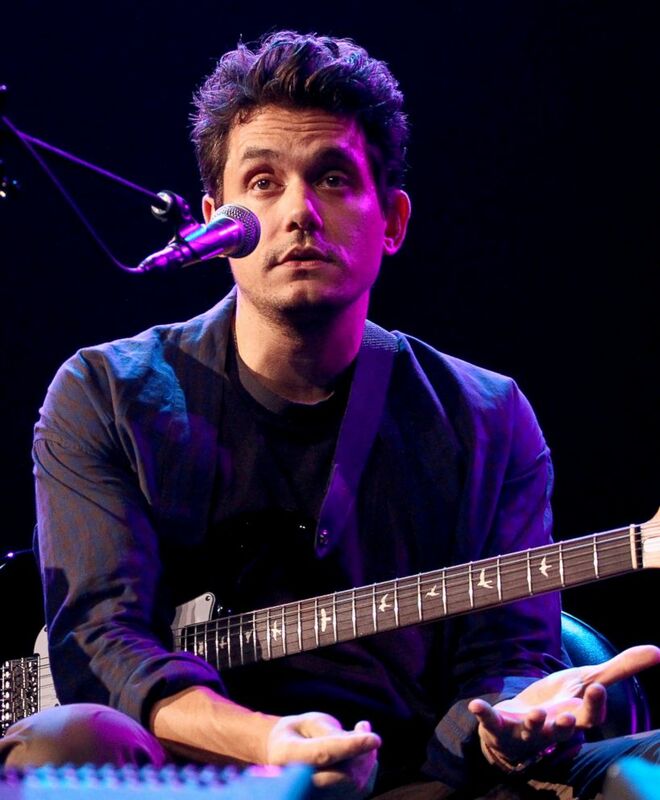 The singer didn't name Mayer by name, but rumors of a possible romance began swirling this week after the two artists engaged in a series of social media comments to each other. On Monday, she posted a YSL Beauty lipstick ad on her Instagram page, to which Mayer, 41, commented, "It's saying that my billing address doesn't match with the one o[n] my credit card? I've never had this problem before. Can you text me? Thanks," according to E! Online. "@johnmayer wrote u a song with the help hotline # in the chorus," Halsey replied. "Sending mp3 now." There was also a picture of the two friends Facetiming. Halsey announced she had broken up with rapper G-Eazy, 29, in July after reportedly dating on and off again for about a year, while Mayer has been linked to various singers and actresses over the course of his career. Halsey is known for being her own person, saying what she's feeling and obviously supporting female empowerment and bucking the status quo. In a text earlier this week, she wrote, "How about don’t talk to me about anything but WOMEN for EVER," along with other inspiring notes to her millions of fans.